Microsoft Research has announced the launch of Office Remote for Windows Phone. The app can be downloaded from Windows Phone Store. 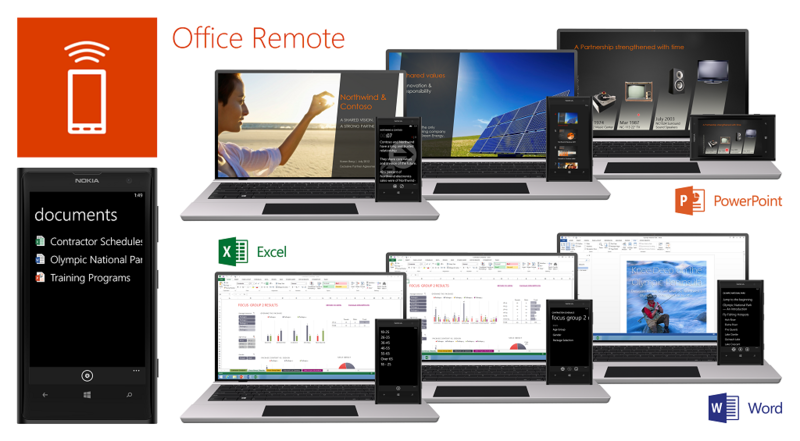 Office Remote turns Windows Phone 8 devices into smart remotes for Word, Excel and PowerPoint. Users will now be able to control documents on their PC’s through a Bluetooth link from the mobile device.